Wesham Race Results for week ending 18th November 2018. The 37th Preston 10 mile run, including the Lancashire 10m Championships, saw sixteen Wesham athletes line up at Hutton Grammar School to compete over the 2 lap course. Conditions were good leading to some fast times and several personal bests. 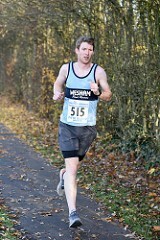 Rob Danson was second overall, behind Blackburn Harriers athlete Tim Raynes, in a time of 52:37. Ugis Davats was 18th in 58:18closely followed by Simon Denye in 24th position in 58:47. Andrew Harling was 57th in 01:03:10, Daniel Shaw 83rd in 01:06:00, Mark Renshall 95th in 01:06:46. Lee Barlow 99th in 01:06:59 paced Neil Gregson 100th in 01:07:00 to a personal best. Peter Cruse was 122nd in 1:08:38 followed by Lee Nixon 143rd in 01:10:00. A contingent of senior statesmen comprising Nigel Shepherd 153rd in 01:10:35, John Collier 155th in 01:10:42 and Stuart Clayton 188th in 01:14:21 followed, just ahead of Rob Wallace 191st in 01:14:27. Davats, Denye and Harling won the Veteran’s gold medal in the Lancashire Championships. Sharon Cooper 334thin 01:26:57 and Kay Twist 335th in 01:26:58 were the only Wesham ladies to compete. Three Wesham members travelled to Kendal on Saturday to compete in the Kendal Mountain Festival10k. Of the 562 finishers Paul Gregoryfinished 80th in 51:03 while Kath Hoyer was 348th in1:05:49 and Dave Waywell 511th in 1:18:21.